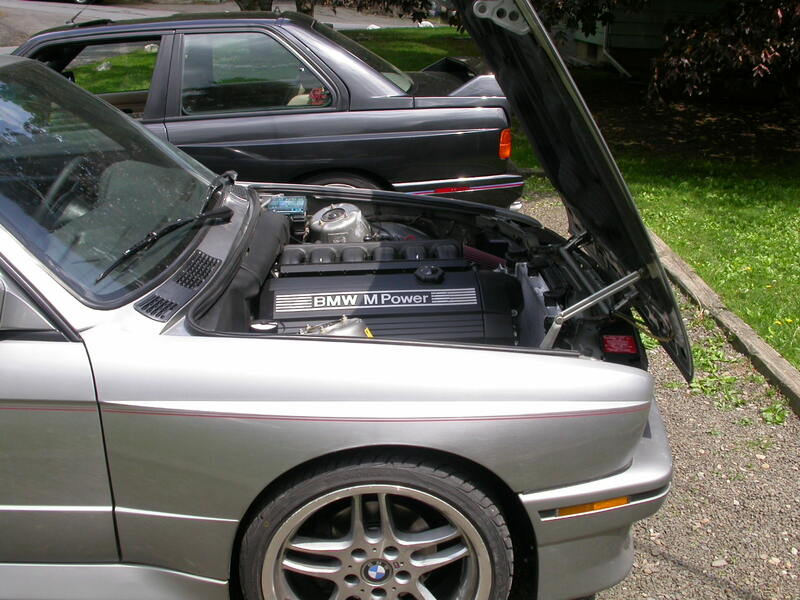 An interesting performance and power modification one can make to an E30 M3 is to replace the original 16 valve 4-cylinder S14 motor with the S50 or and S52 24 valve 6-cylinder motor found in newer model M3′s. Here is an example of this motor installed. Some tips are that you’ll need to switch oil pans, transmission and some drive train features will need upgrading. As well, an upgrade to the steering on the car can be conducted. A lot of parts from the Z3 are interchangeable for this. 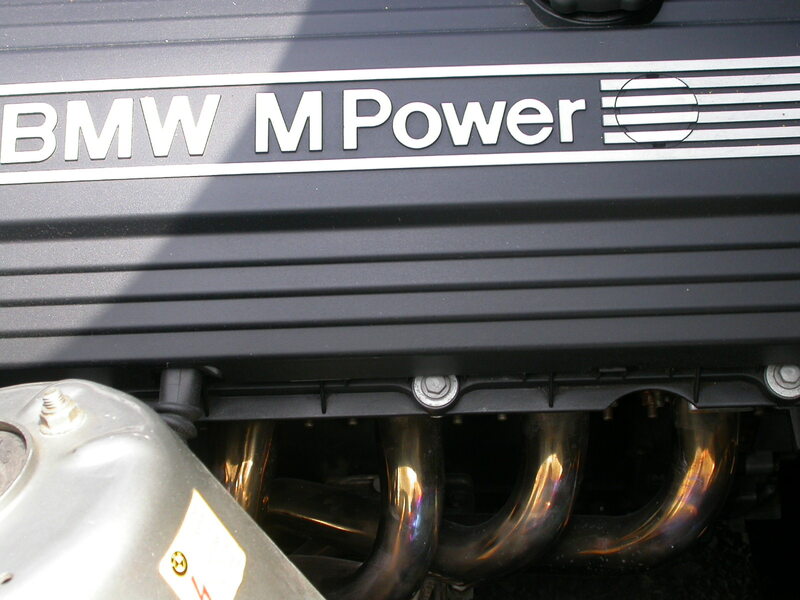 Following is a brief video of the M Power motor, and some still pictures of this E30.